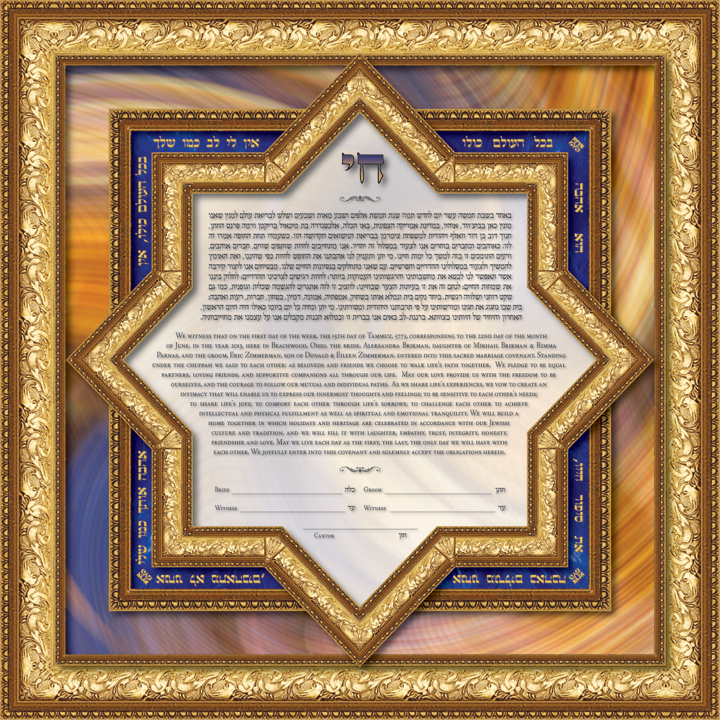 The “Bashert” ketubah design captures the divine mystery and sublime miracle when soul mates unite and bond in marriage. 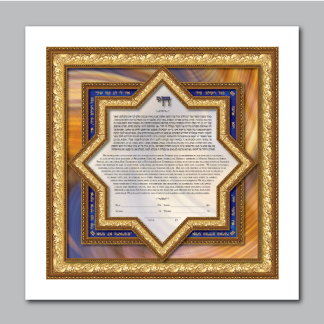 Surrounded by an ornate golden frame, the background of this ketubah design symbolizes the swirling energy of our Creator orchestrating the elements that bring two souls together “by chance”. 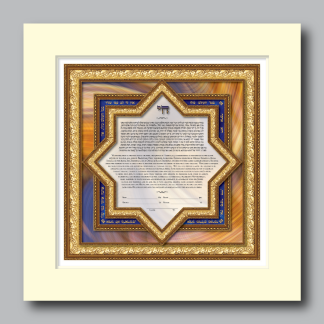 Words of love are placed around the 8-pointed inner window. They are, “In all the world, there is no heart for me like yours. 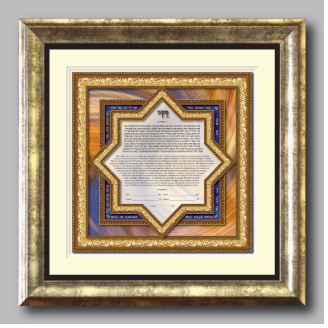 In all the world, there is no love for you like mine”, “The story of life, is love”, "You and I in joy and happiness without end...", and “Each day our love will grow". These quotes perfectly reflect the feelings of the betrothed and affirm their commitment to their new and joyous union.